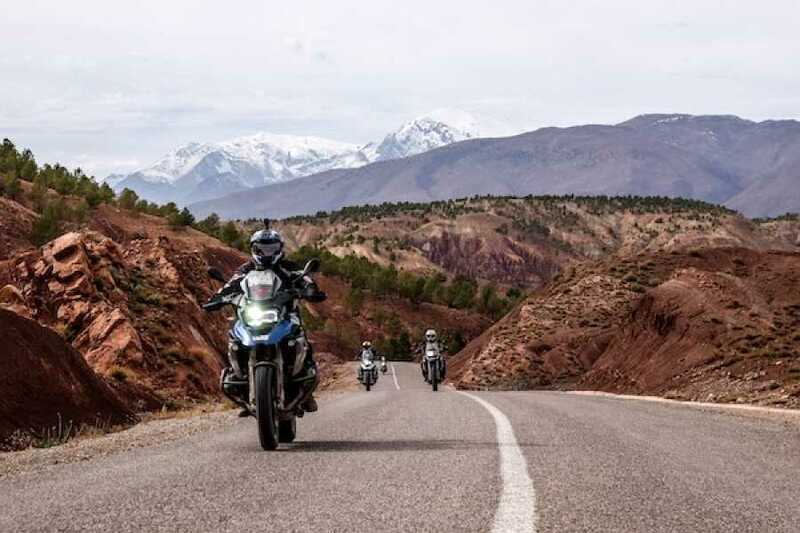 During this 9-day motorbike adventure tour we will cross the Atlas twice through the two most famous passes and discover some of the least frequented pistes of Southern Morocco. 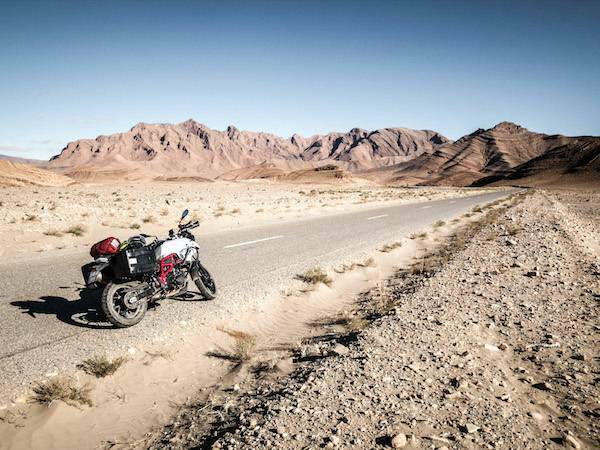 Our tour will start and end in the Imperial City of Marrakesh. 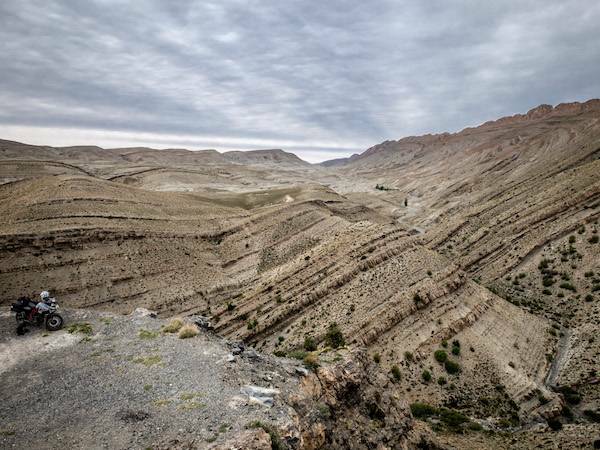 During the tour we will ride the Tizi n’Test and Tichka passes through the Atlas, spend a night in a special camp in the desert and ride the less frequented dirt roads of the South. 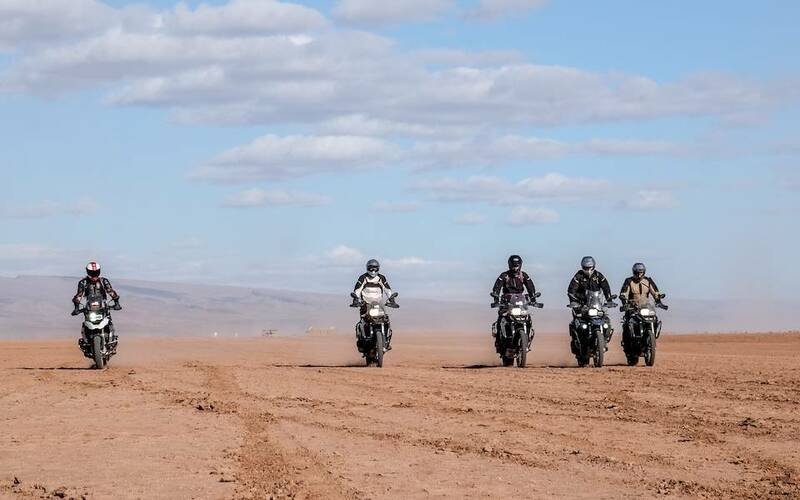 You will have the opportunity to see the different sides of Morocco, from the greenery of the mountains and the multicoloured face of the desert, while exploring Marrakech and Ouarzazate, the home of many famous movie scenes. 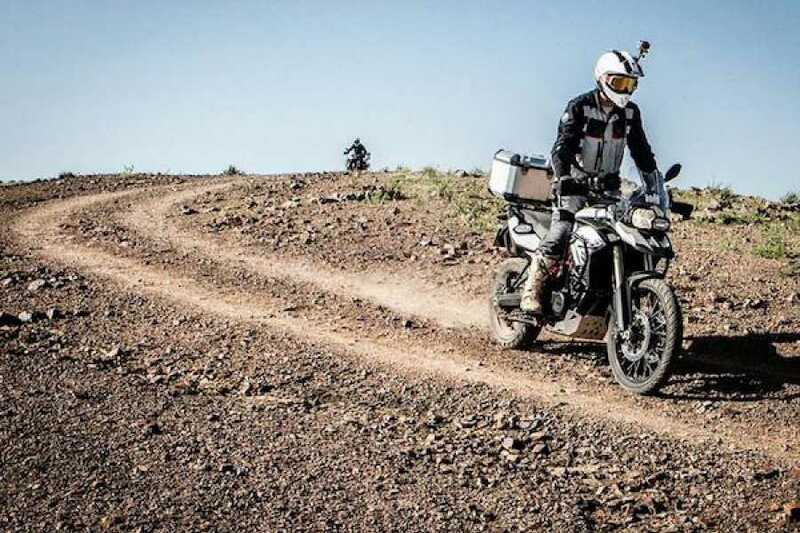 We will ride fast-paces roads filled with switchbacks and flowing corners and we will take the bikes through some rocky off-road sections where speed will be replaced by technicality. 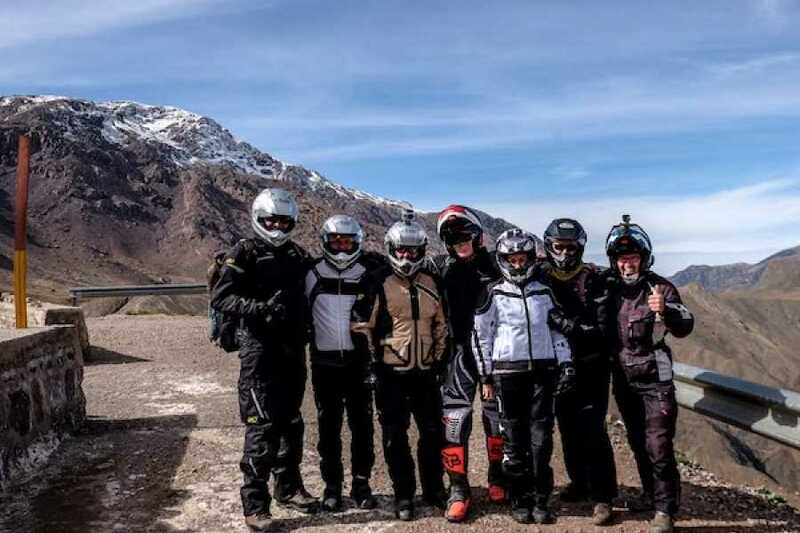 This trip is recommended to experienced riders and adventurers who wish to participate in a unique tour. 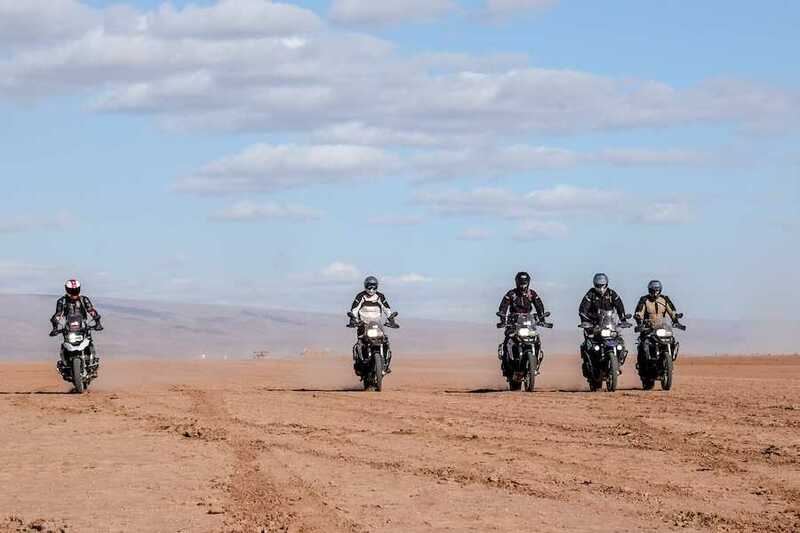 Arrival to Marrakesh. Transfer to your SPA hotel, where you will be able to settle in and relax by the pool before the start of the trip the next morning. 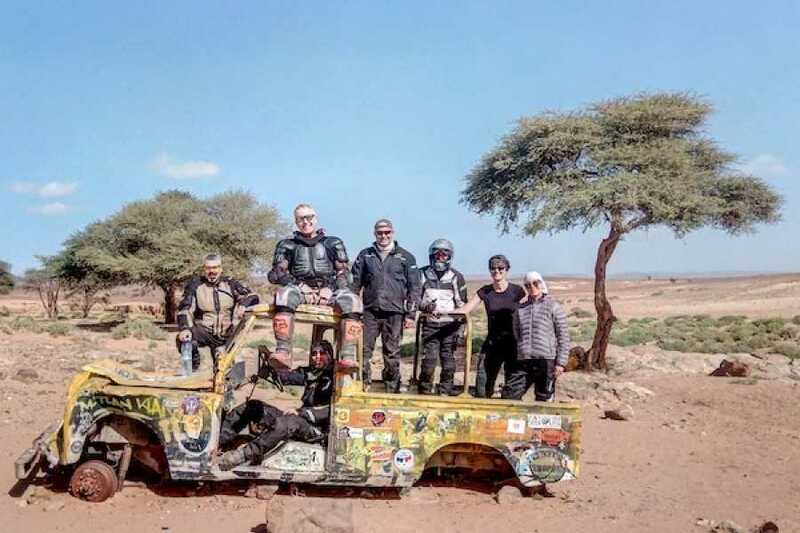 You will meet your tour guide and go through the briefing session as well as the formalities required before the start and you will receive your welcome pack. 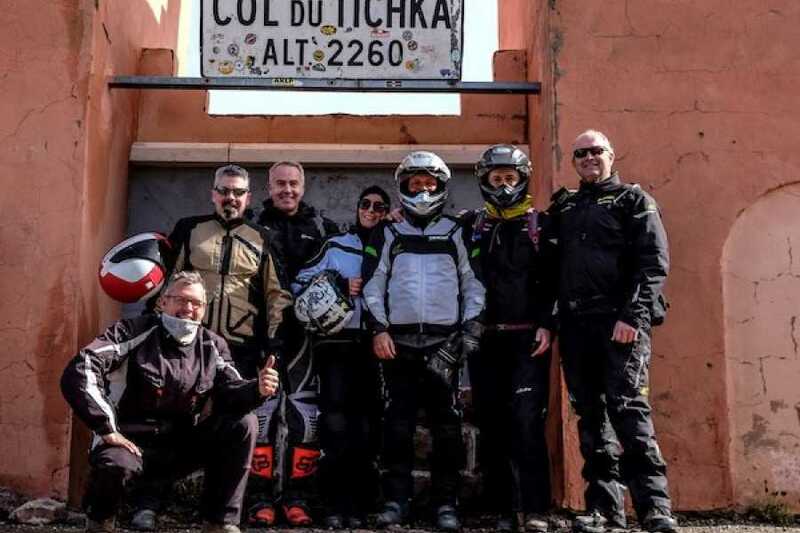 After breakfast we will get on our bikes to tackle the heights of the Atlas once again. 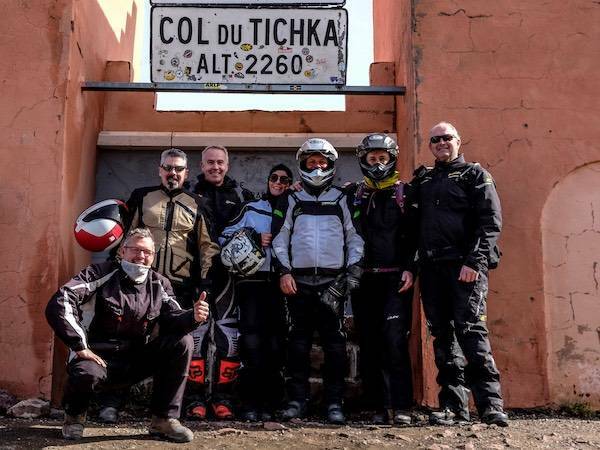 This time we will climb the Tizi n’Tichka pass up to 2260 meters before taking a turn for our descent which will be through the less frequented road that takes us to the UNESCO World heritage site of Ait Benhaddou. 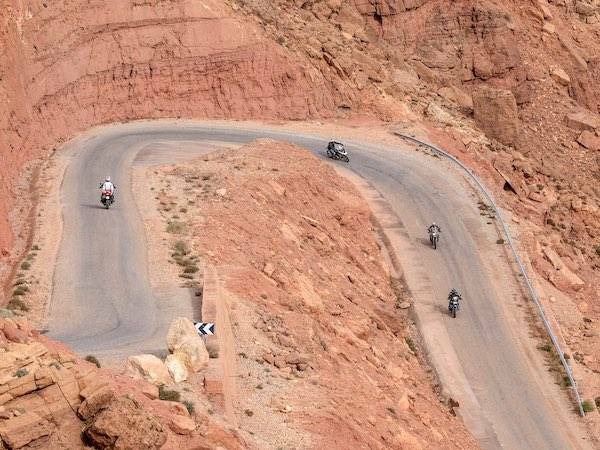 This road will alters wonderful switchbacks and tight corners as well as flowing off-road sections. Once again, you will be struck by the variety of the sights and will take every opportunity to take pictures. 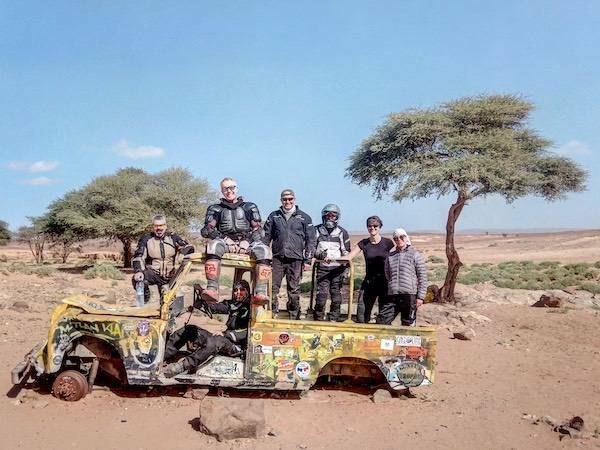 We will arrive to Ouarzazate in the afternoon and will explore the city before heading to our wonderful hotel at the lake near the city. We will leave our accommodation after our breakfast by the pool to head towards the desert and sand dunes of M’Hamid. 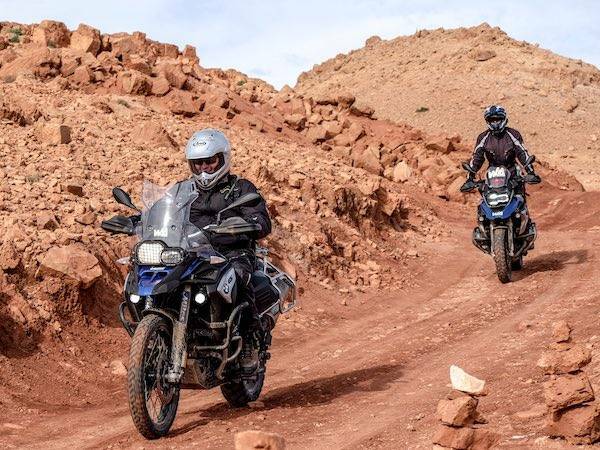 Our ride will follow the many palm trees and plantations of the Draa valley and the scenery will change as the previous days’ greenery will give place to the yellowish colours of the desert only broken by the occasional green of the oases. We ill spend the night in an organised campsite in the desert that will give opportunity to discover the vastness and the beauty of the skies as only seen in places without light pollution. The challenges begin. 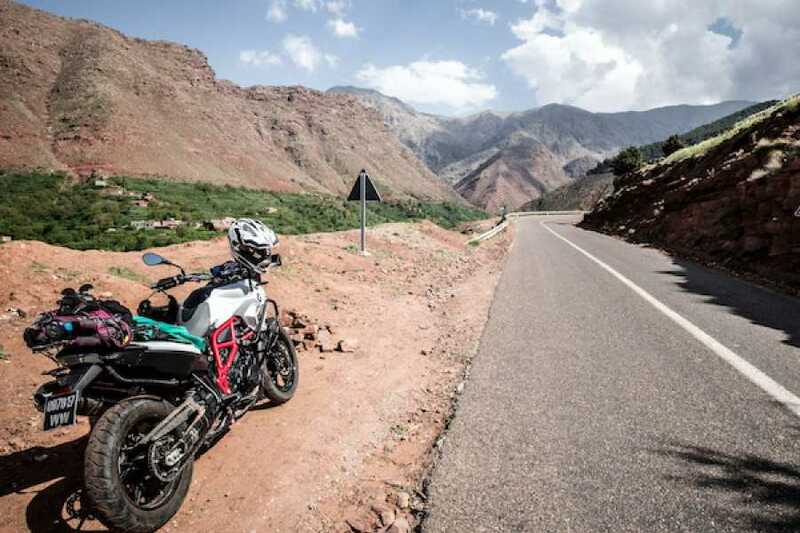 We will experience a day of riding the remote pistes of the Souths. 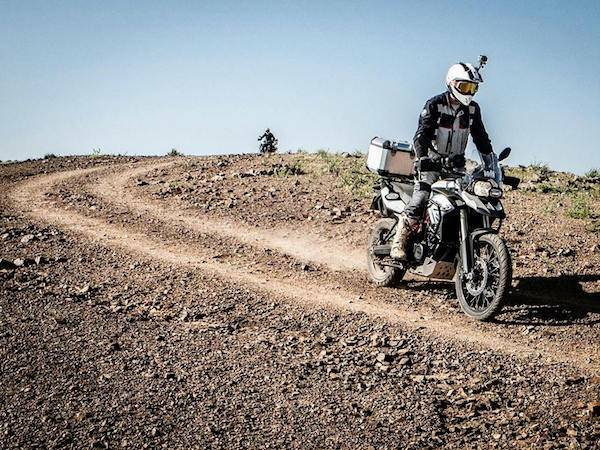 The roads are mostly flowing off-road track with the occasional sandy patches and rocky sections so off-road experience will help. 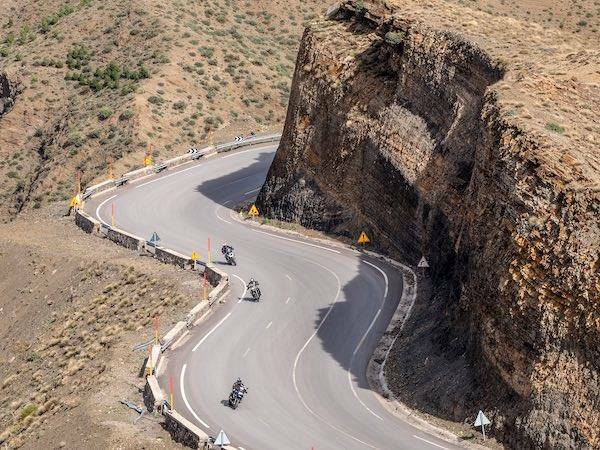 Riders with less practice will have the opportunity to gain plenty of experience. As the distance is not excessive this day usually provides a unique feel of the country to the participants. 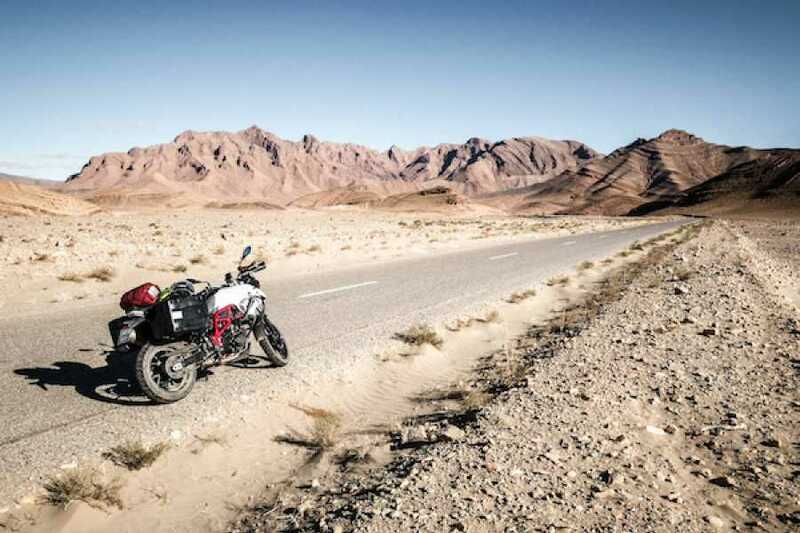 An early start will take us back towards Tafraoute through small winding roads of the Anti Atlas once again. 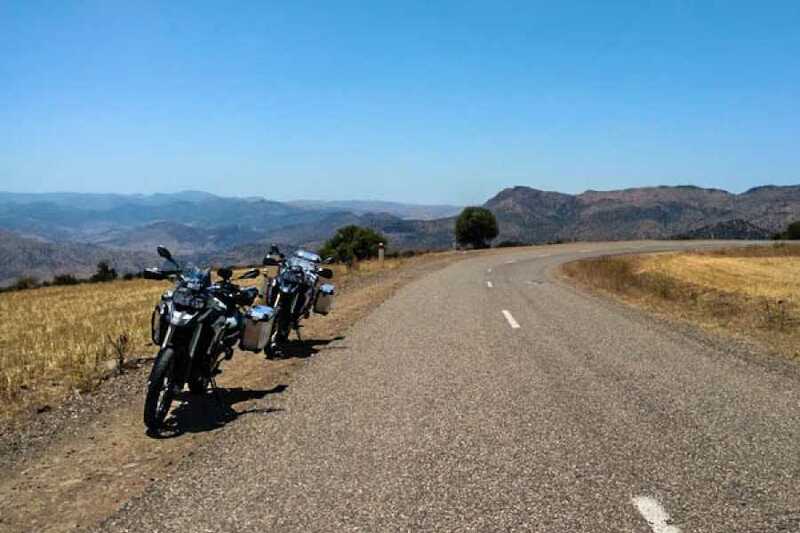 We will ride the smaller national roads where twists and turns become more and more frequent as we approach the mountains. 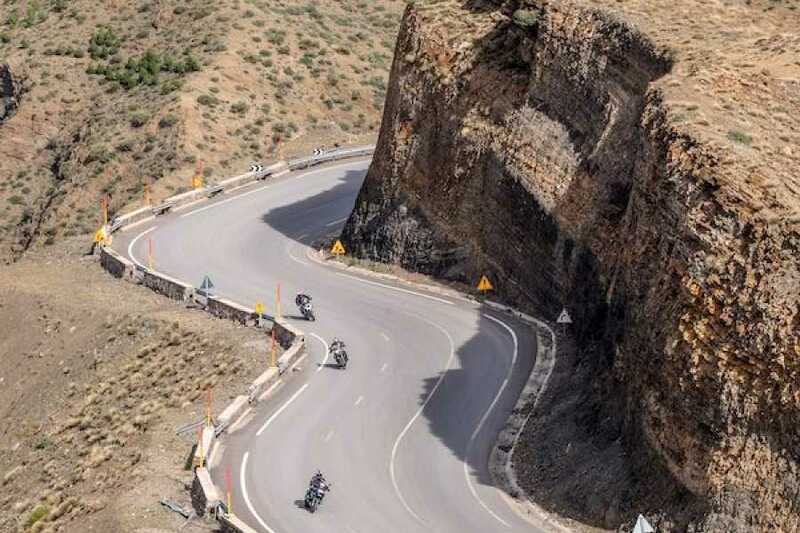 You will thoroughly enjoy this ride on roads where traffic is less common than around cities. 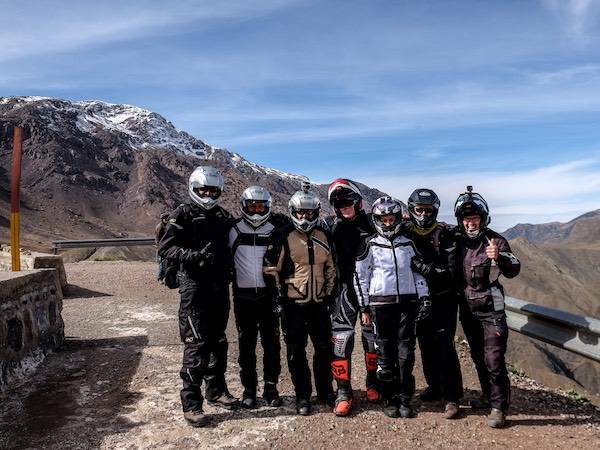 Before getting to our accommodation and a well deserved dinner, we will take the pistes to explore the blue rocks near Tafraoute. 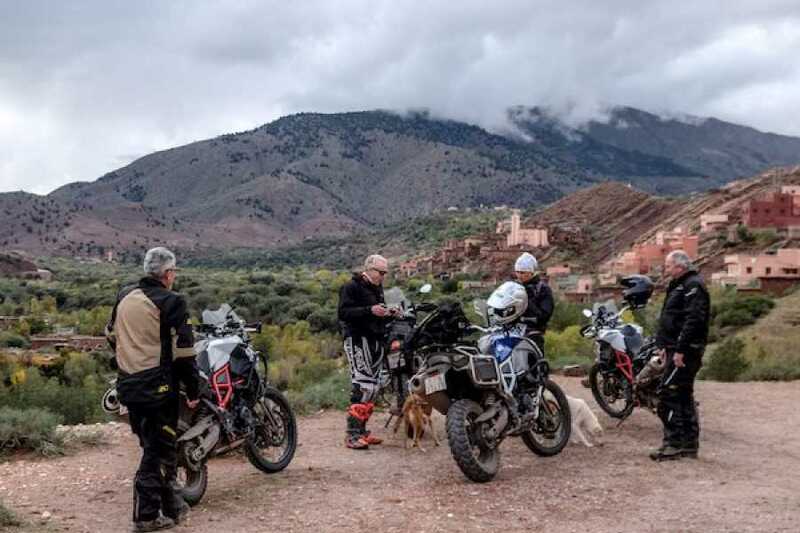 This riding day will take us to our wonderful accommodation near the surfing spots of Morocco. 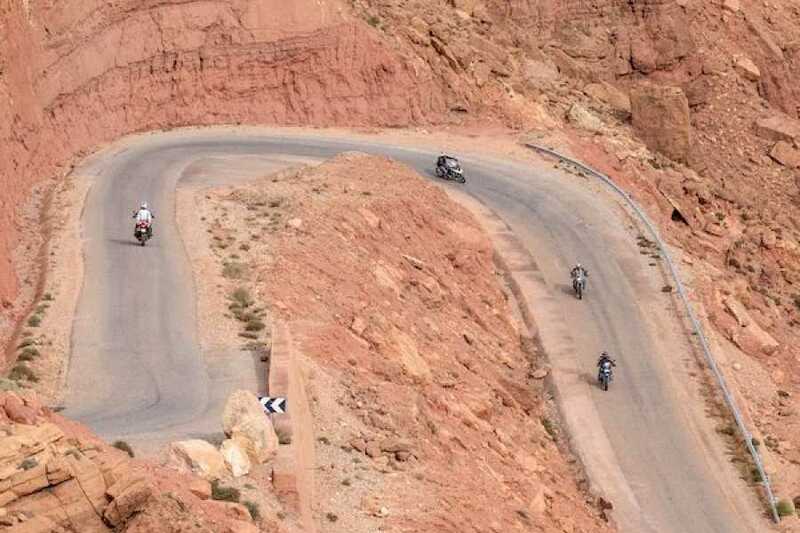 The roads will provide plenty of joy for this ultimate day as fast corners and switchbacks will be aplenty before arriving to Agadir and then the coastal road taking us to the hotel. You will have the opportunity to do some surf, SUP or Yoga, or just enjoy a traditional Hammam in the beautiful SPA. The first leg of our journey will take us through the coastal road before turning inland to explore Paradise Valley. 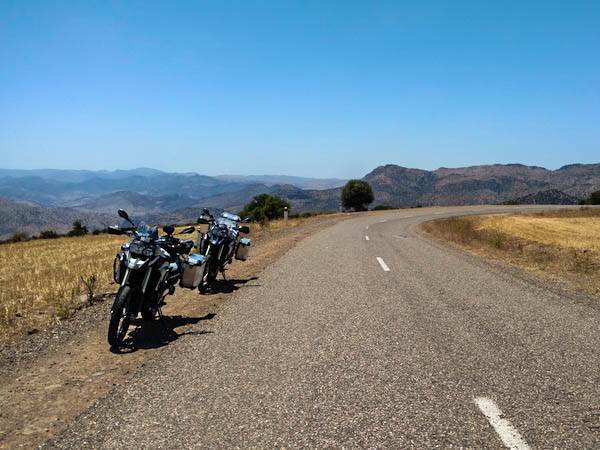 Our road will take us through small winding roads in the mountains to arrive to our first pause where we will leave our bikes and go for a short walk to explore the natural water ponds of Paradise valley. 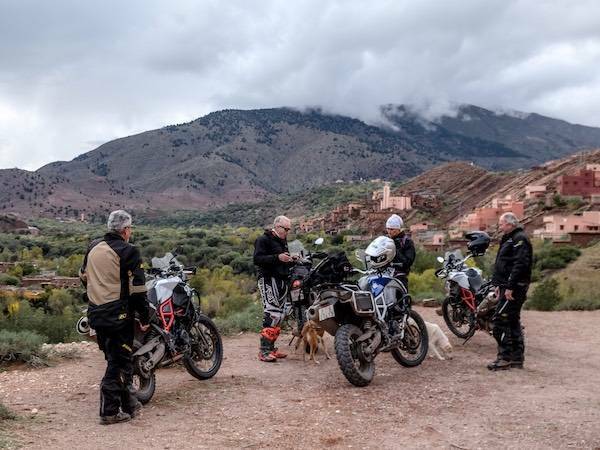 Once we are back on the motorcycles we will cross Agadir and head East on small country roads to reach Taroudant, our destination for the day. 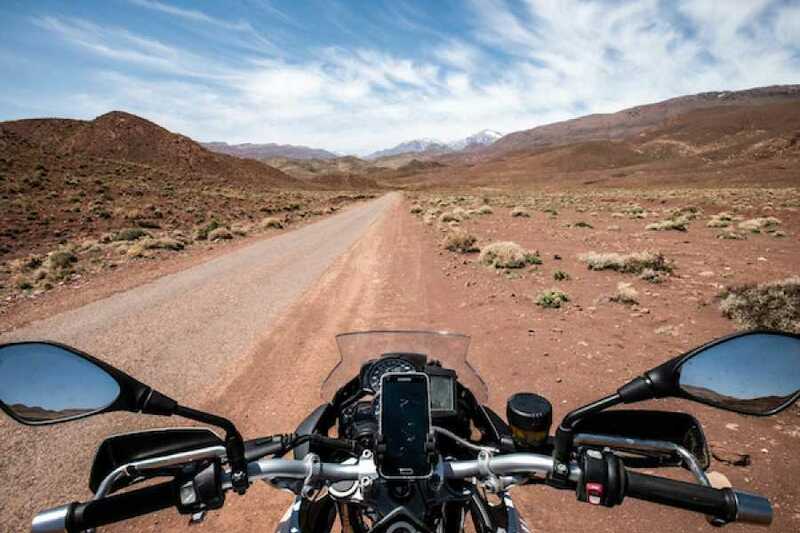 Today we will head towards the imperial city of Marrakech. 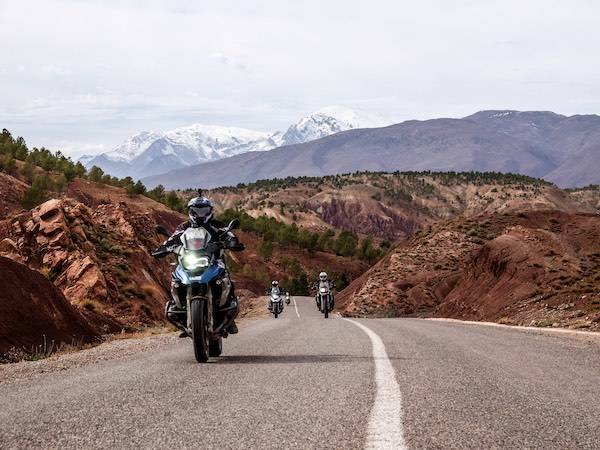 This day will provide a great day of riding as we will cross the Atlas through the winding roads and switchbacks of the Tizi n’Test pass. 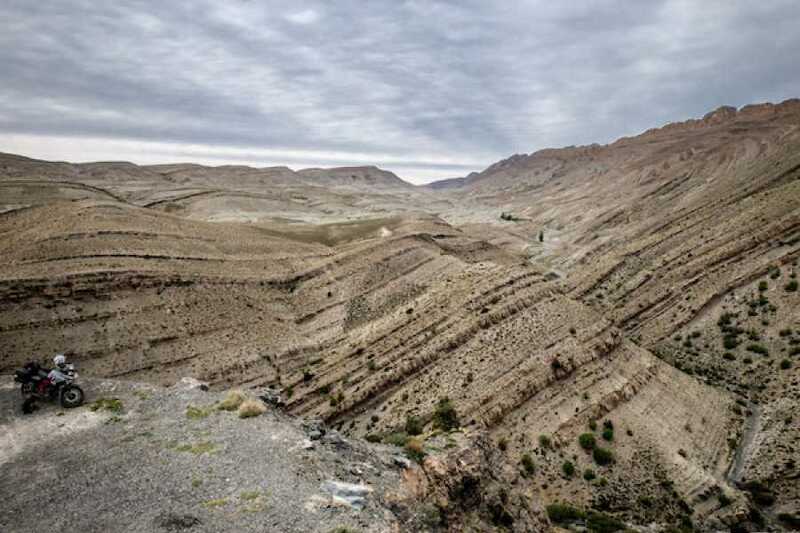 There will be plenty of opportunities for pictures and you will want to stop from time to time just to take in the breathtaking scenery. Upon arrival in Marrakech, we will head into the center to experience the rush of the medina and Jamaa el Fna. Depending on your flight time, you might take the opportunity to relax at the hotel or decide to take surfing lessons. Those of you who opted to extend their holidays will remain to enjoy the weather and the many activities on offer, while those leaving will be transferred to the airport through their pre-arranged pick-up. 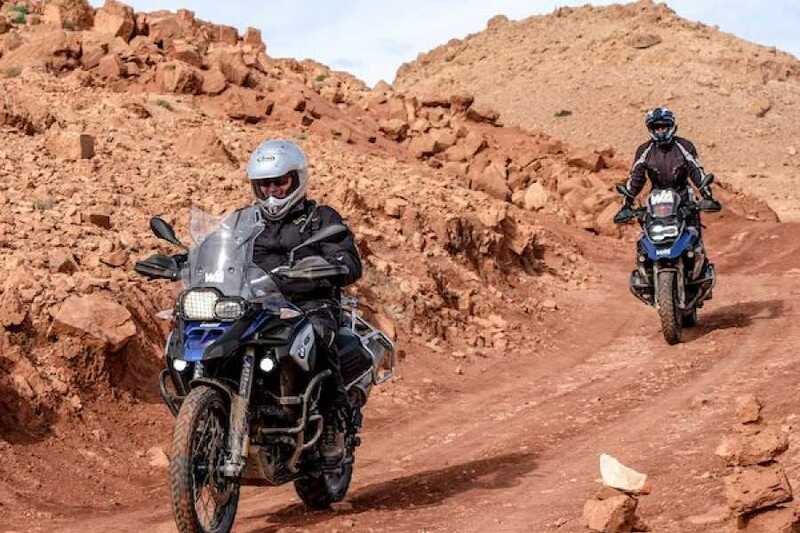 This is one of our most challenging and unique Morocco off road motorcycle tours. 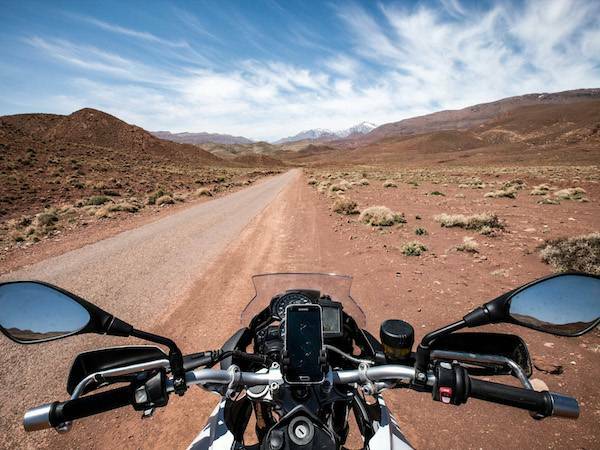 If you’re dying for a real moto adventure, look no further. 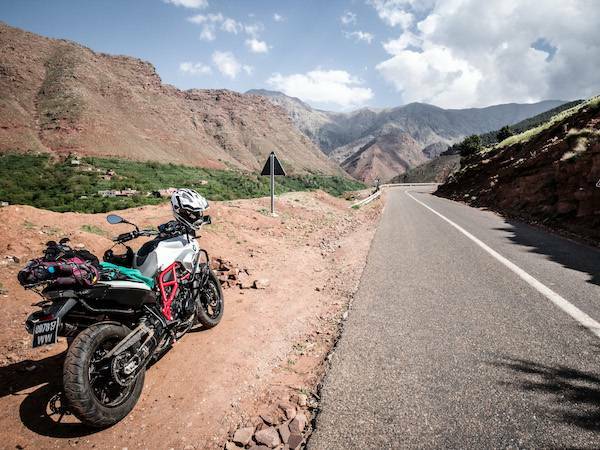 Visit and explore up close some of Morocco’s finest sights.